The second week has provided students and supervisors alike with a lot of excitement, which has been gradually increasing as we continue day by day. With this we had hopes to kick of Day 7 with a hefty amount of work in order to catch up from the rather disastrous day previous. We begin our daily report in trench 10! After a rather disastrous afternoon yesterday we began day 7 with high hopes for a dryer day of archaeology. Trench 10 throughout the day saw a nice amount of activity with the appearance of medieval pottery and flint. With the aims for the day being the identification of the natural these finds were a pleasant surprise. Excavations around the stones also went underway in an attempt to better reveal the possible feature a little bit more. A quick study of a new photo depicting the tea house shows the bank below to be less steep than what is currently present. This could indicate a possible steepening of the bank after the destruction of the tea house. With the general theme of this trench being confusion, it was not quite clear what had to be done in order to further understand what was going on. Possible linear agricultural features which run approximately north-west to south-east were excavated further which revealed the natural soil underneath. While it is unclear as to what these features are the dipped shape of the soil in cross section suggests possible plough furrows. 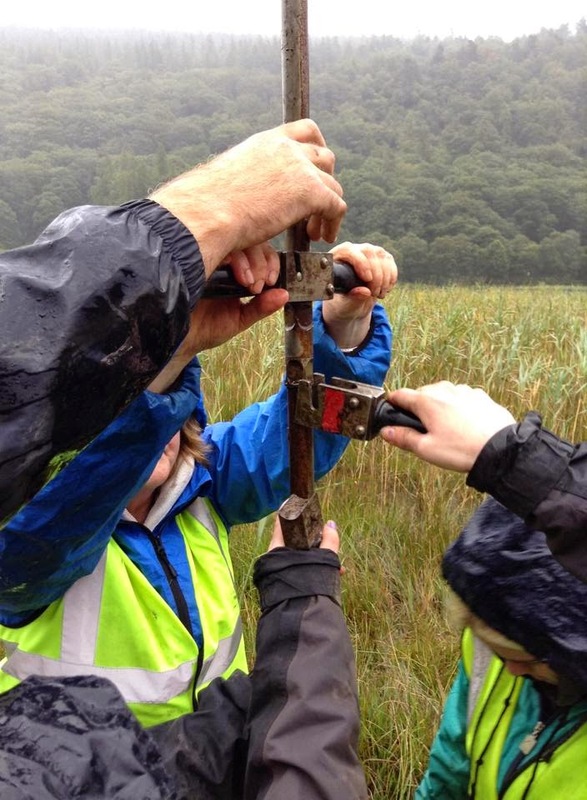 The Palaeoenvironmental survey takes place throughout the second week with students learning the fundamentals of auguring (coring) and how to assess samples. 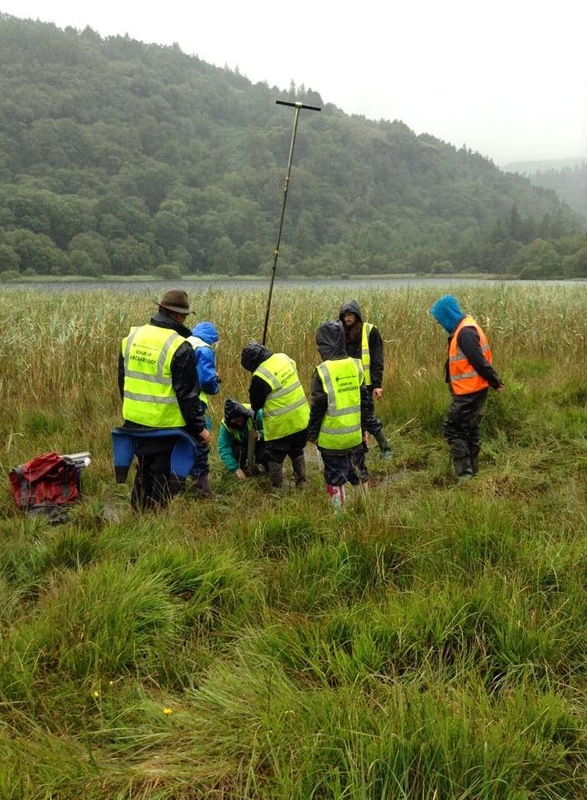 They began the morning by carrying all supplies to a suitable spot in a boggy area near the lower lake. 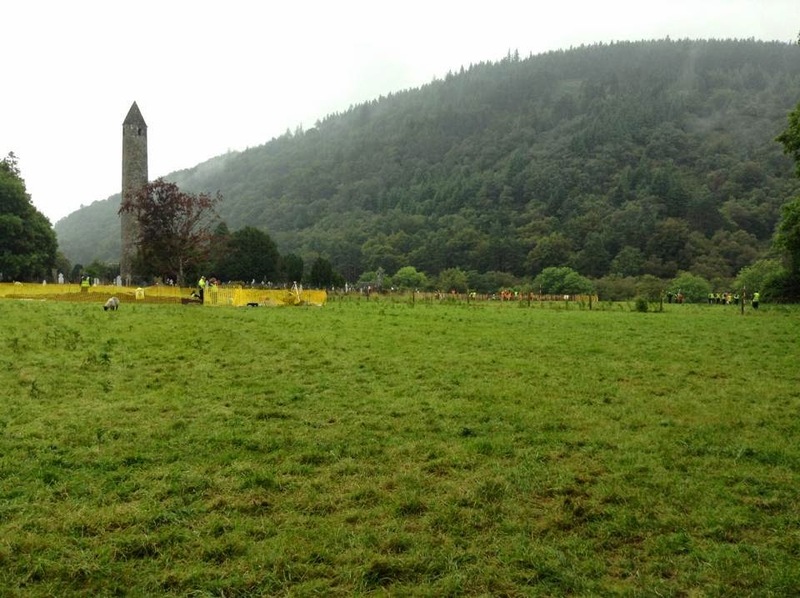 The environmental survey was carried out to better understand the entire history of the Glendalough valley. With the two lakes having been joined at one period in time it is possible to see this through the changes in soil colour at different depths. In the morning the small and large bore corers were used to demonstrate the different equipment used. However due to the open design it is not possible to take accurate samples from these pieces of equipment. 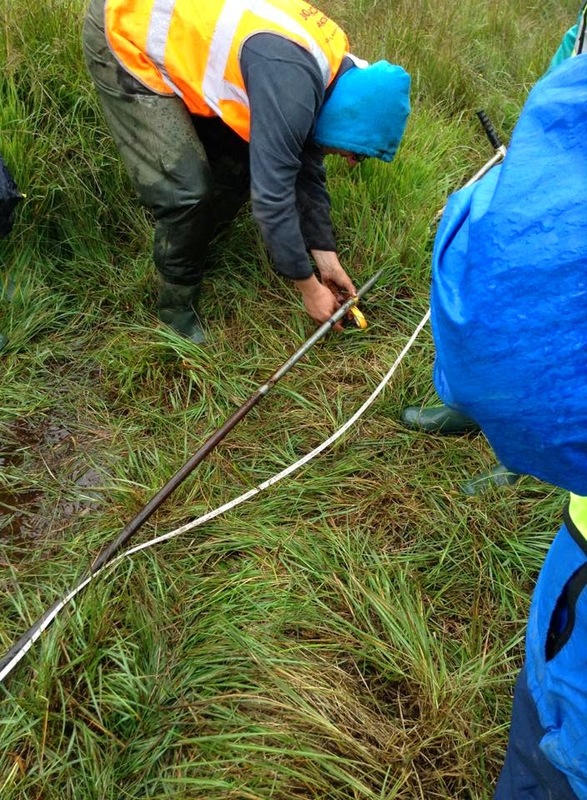 For sampling the Russian corer was used. The design of the auger allows for easy sampling at all depths. Missile in shape, it consists of a body and 'fin' which when rotated in a clockwise or anti-clockwise opens and closes the chamber. 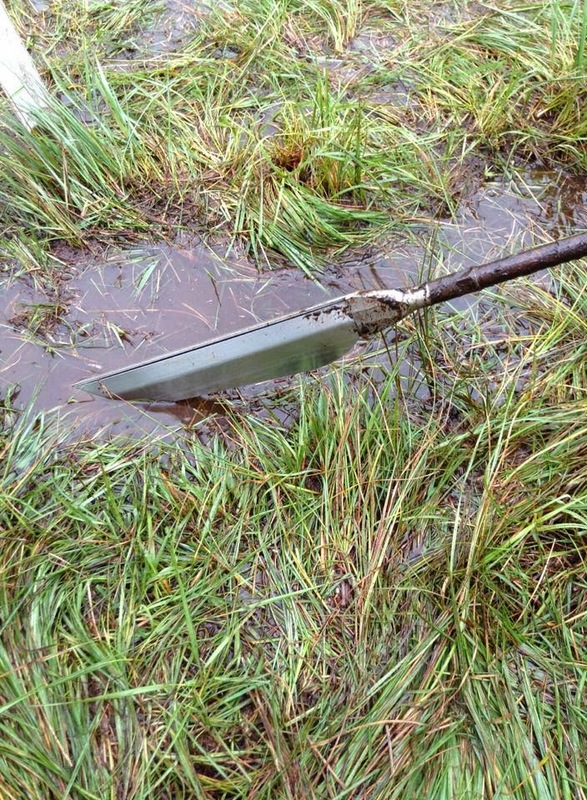 Sampling revealed a loss in colour when in deeper depths of soil. The bed of an ice age lake is depicted by a metallic looking grey/silver soil while the upper levels show a dark brown soil with decayed wood or reeds. 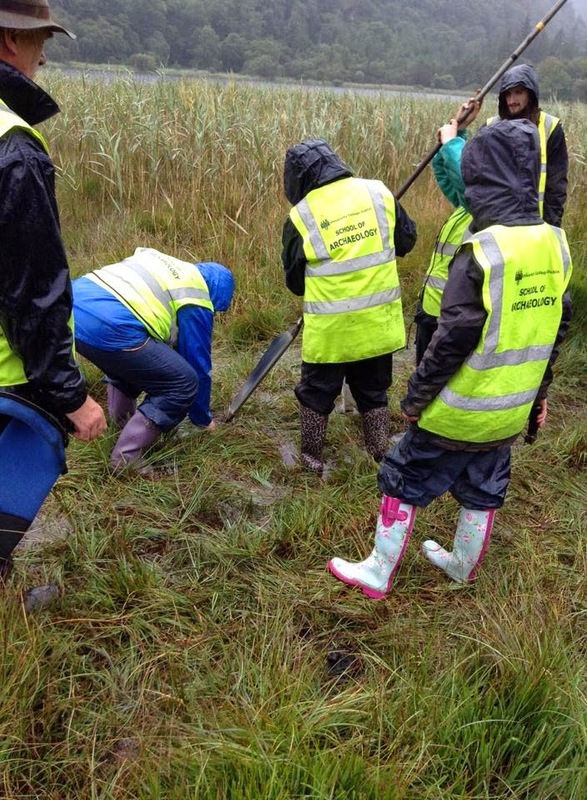 The samples of the auguring survey were placed in a drain pipe and covered with cling film. They were labelled and given the top and bottom depth as well as the site code. They can then go back for analysis in the lab.